Back on Makeup-Pixi3 about a year ago, I mentioned a brand that was included in a goody bag I’d had from an event called Pink Parcel. 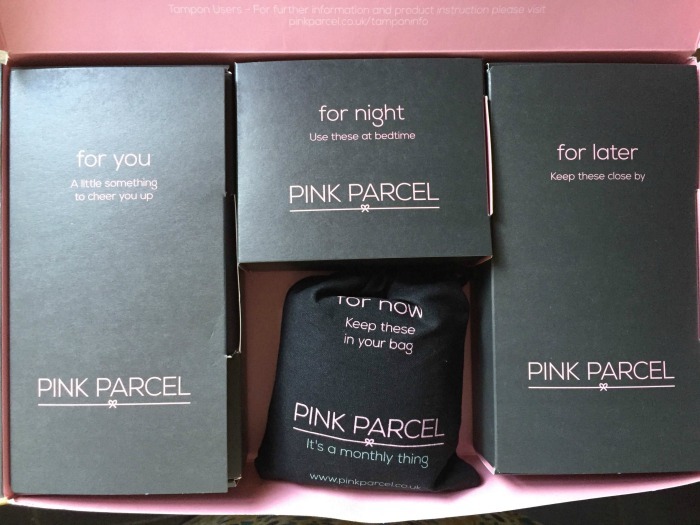 They send you a box for ‘that time of the month’ with everything you need to get you through your period, even some little treats. 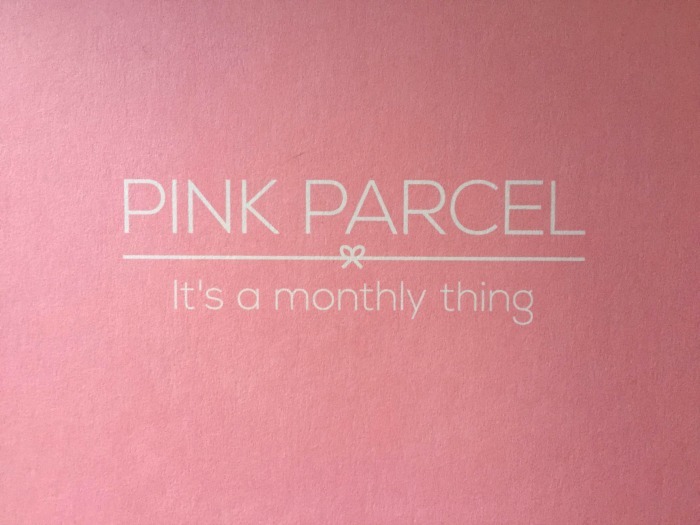 Well this month Pink Parcel kindly sent me a box to review and now that I’ve just used it, I thought I’d share my thoughts with you. One of the biggest things I love about this box is that you’re able to personalise it to your needs. For example, I use sanitary towels and not tampons, so I’m able to select a box that only contains towels. On top of that, I can select my favoured brand ‘Bodyform’ or ‘Always’. 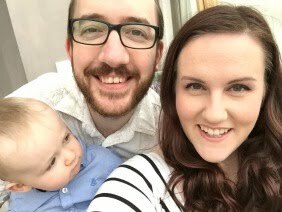 After years and years of using Always, and realising they were causing me discomfort, I switched to Bodyform about 6 months ago and haven’t looked back, so I was really happy to see I could select them for the box. When the parcel comes, it separates out the towels into different sizes, so there’s a box ‘for night’, a little drawstring bag to keep with you in your handbag, and a box to keep by the loo. The box you keep by the loo has standard size towels in it and some pantyliners. I loved that they included a good amount of night towels too. They also include a little box of things for you, obviously this is my favourite part of the box. Inside are some little treats for your tummy and to pamper you with. 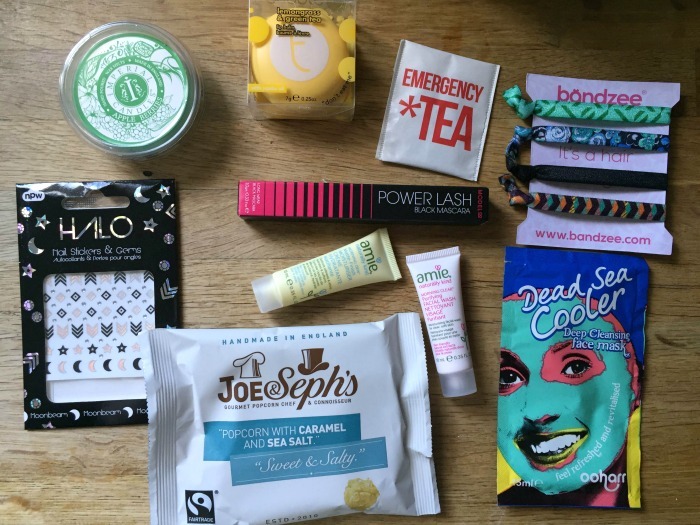 This month there was some delicious popcorn, some pretty hair ties, some mascara, a face mask, a tea bag, some lip balm and a couple other bits. In the previous box I reviewed there was a necklace in there, hair ties, and an OPI nail polish (nice!). What would have improved the box for me? I would have loved to have seen some wipes in there, like FemFresh ones, especially as it’s a towel box and not a tampon box. It would also have been nice to be able to select the size of the towels in the main part of the box – personally I get really heavy periods and have to use night time for the first 2-3 days, and then the next size down for the rest, so it would have been nice to pick the bigger towel as an option. Overall I really liked this box, I think it’s a great idea. I used to get so embarrassed at buying sanitary towels, especially when I was really young, so this would have been great! If you're interested in trying the box out for yourself, the first box is £6.99 to try, and every box thereafter is £10.50 (inc P&P).